Swingarm Electric Sending Unites gather fuel level information the same way as the mechanical sending units. It does, however, connect to a dash mounted gauge without a conversion capsule. Internal components will not rust or corrode. Float rotates easily in 90 degrees increments for tanks wall & baffle clearance. 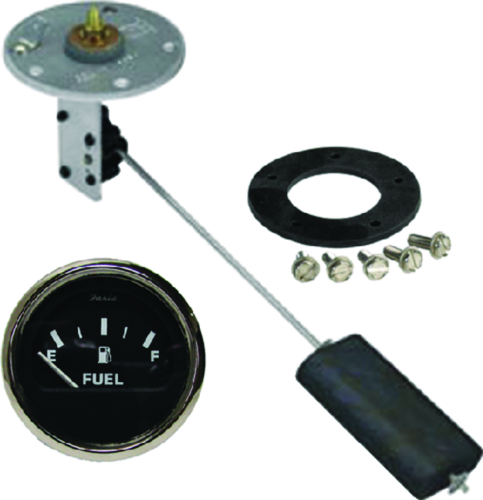 Tank Depth 4-28" Kit includes sender, gasket and dash mounted gauge.